Enjoy the evening with a concert on the Great Lawn of Olbrich's outdoor gardens. Bring a lawn chair or blanket. Picnics are allowed in the Gardens for Tuesday concerts only. Hot dogs and brats available for purchase from the Madison East Kiwanis Club. In case of rain, concerts will be held indoors. Summer Concerts will be held indoors in the event of bad weather. Call will be made by 3 p.m. and posted on this page, on the Olbrich homepage, and on Facebook. Please do not bring lawn chairs or blankets, as chairs will be provided. The Madison East Kiwanis brat & hot dog stand will not be available. Please leave picnic at home or eat beforehand. Bring a lawn chair or blanket, pack a picnic, or purchase hotdogs and brats at the Gardens from the Madison East Kiwanis. Picnics are allowed in the Gardens for Tuesday concerts only. In the case of inclement weather, the Kiwanis brat and hot dog stand will not be available. Beat the heat with delicious ice cream! Keep Wisconsin Warm/Cool will be at the summer concerts with cool ice cream treats. For $3 a bowl, enjoy a variety of ice cream flavors and support two non-profit causes; proceeds from the ice cream sales will benefit Olbrich Botanical Gardens and Keep Wisconsin Warm/Cool. The Rascal Theory are the powerhouse band out of Central WI that make you move and groove with their electrifying brand of Rock and Blues. They have been rocking stages and faces across the region and not looking back. A soulful blend of rock, jazz, blues and pop, Bosky Point brings their upbeat originals and twist on covers to audiences all over Southern Wisconsin. 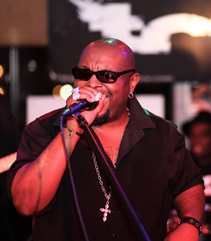 Anticipate smooth grooves, powerhouse vocals and "in-your-head" melodies perfect for a summer evening outdoors. 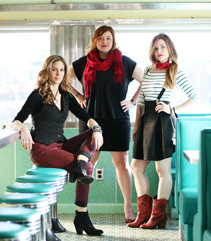 Gin, Chocolate & Bottle Rockets combines the musical styles of three solo-artists-turned-bandmates, Jennifer Farley, Shawndell Marks and Beth Kille, into a rich blend of tight 3-part harmonies and clever pop-rock songwriting, ranging from edgy to fun. 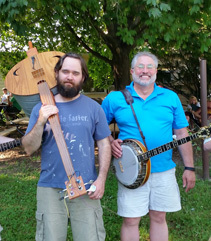 Down From The Hills plays bluegrass music inspired by the likes of Bill Monroe, Earl Scruggs & John Hartford. 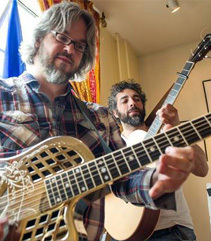 Their music features both instrumental solos and vocal harmonies. They often add Cajun music to their shows, with the Cajun button accordion. Proud Parents started in a living room in 2014 and haven't slowed down since. 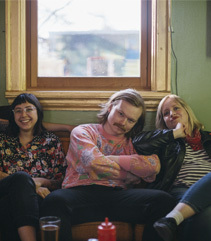 Combining infectious pop hooks and punk sensibilities with three lead singers, the band has made waves on the underground booking their own tours and playing with the likes of indie giants Waxahatchee and Deerhoof along the way. They also caught the attention of esteemed punk label Dirtnap Records who released Proud Parents self-titled full length on vinyl in the summer of 2018. 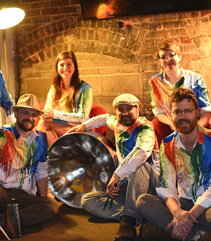 Panchromatic Steel is a steeldrum band homegrown in Madison, Wisconsin that plays authentic island calypso, jazz, classical and familiar pop/rock. Its music brightens any day, transports listeners to their happiest moments in the sun, and threads the needle by being creative and artful while still being fun, danceable and accessible to virtually everyone. Please provide contact information (official group name, contact name, address, phone, and e-mail), music genres, and music samples. If the entertainment committee would like to inquire further about booking you as a solo artist or the group you represent, we will contact you with available concert dates at the contact information you provide.